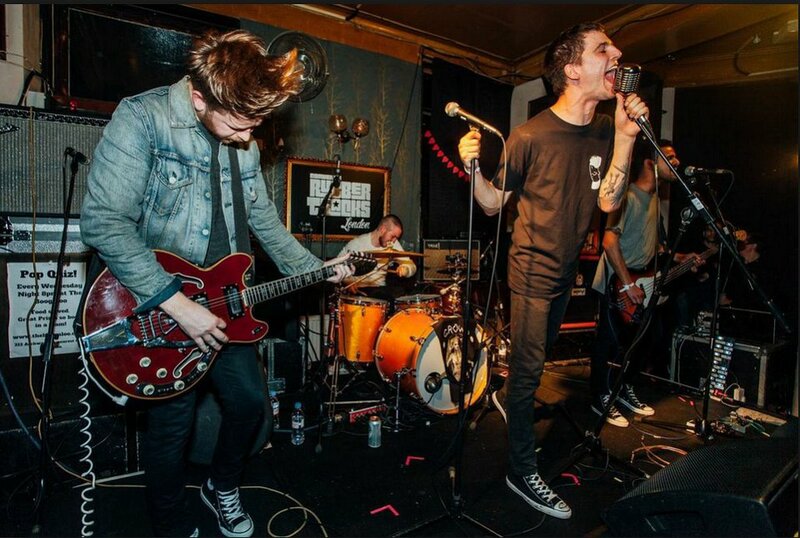 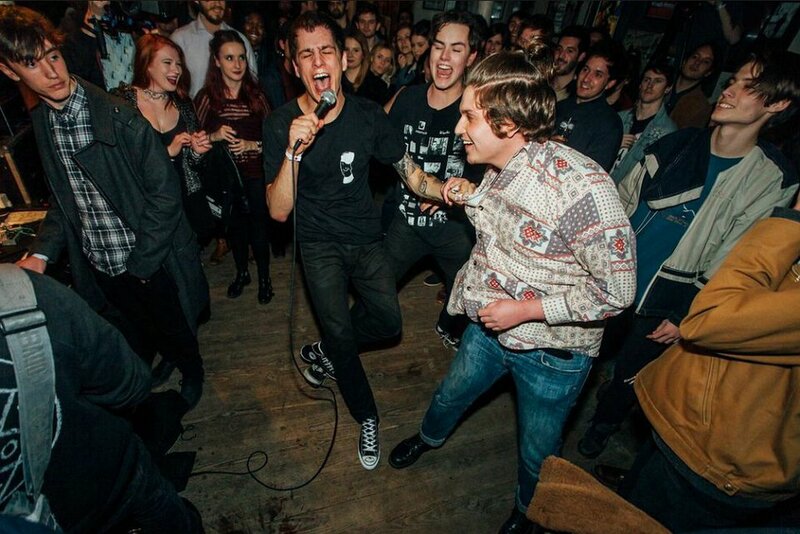 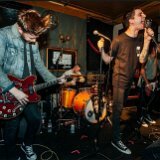 Photo gallery of band members wearing chucks. 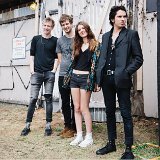 1 Wolf Alice Wolf Alice at a Converse Rubber Tracks recording session. 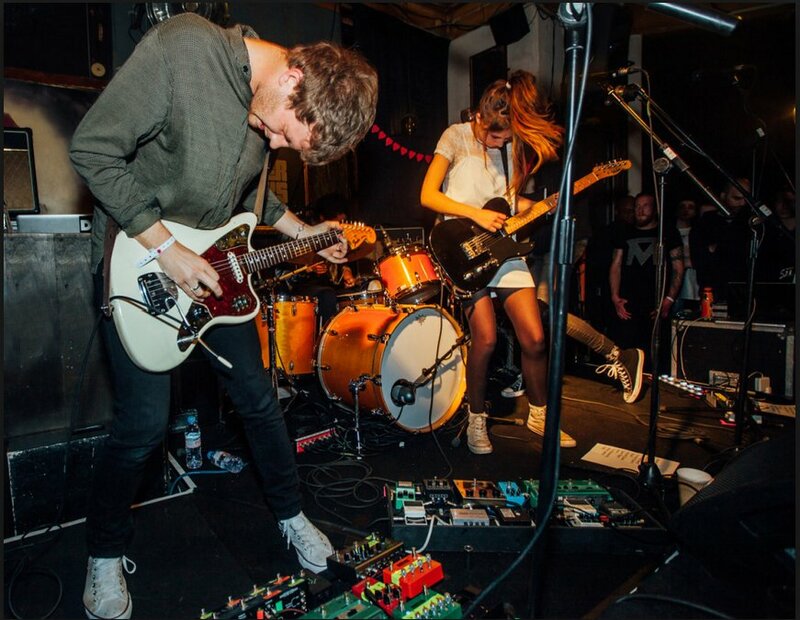 2 Wolf Alice Band members sporting their black high top chucks during the recording session. 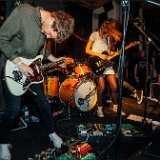 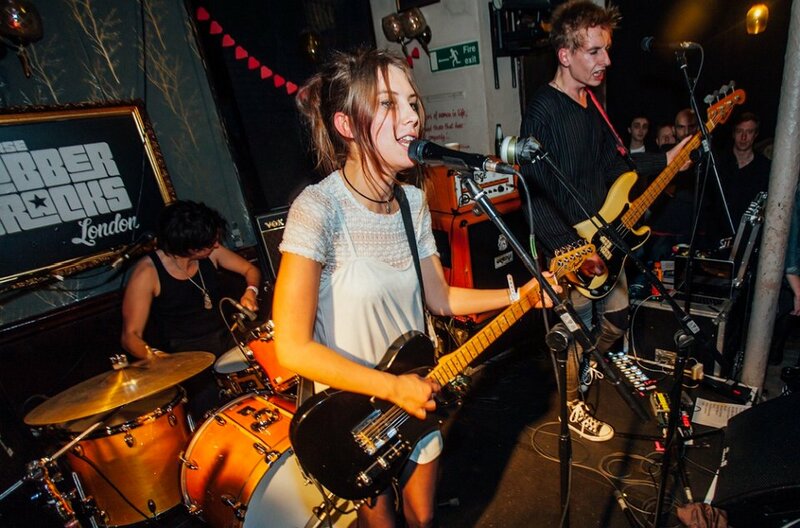 3 Wolf Alice Guitarist Joff Odie and singer Ellie Rowsell are wearing optical white high top chucks. 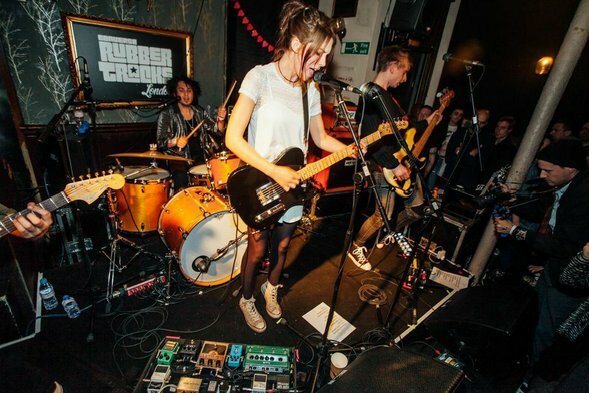 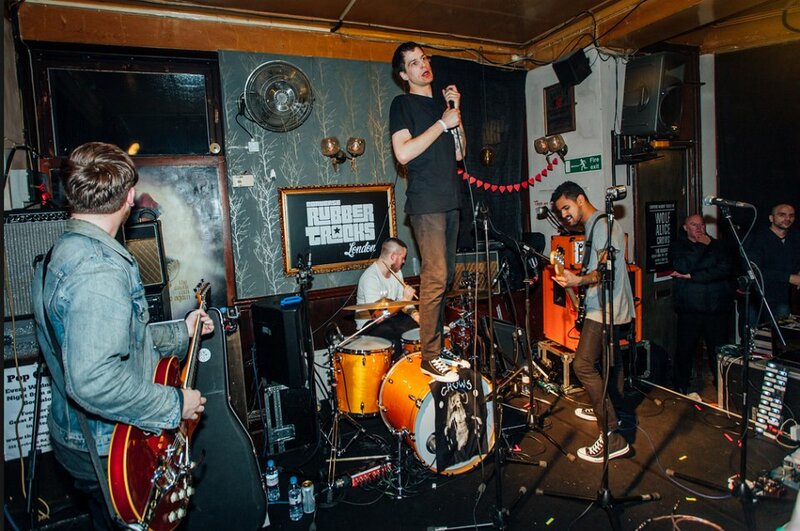 4 Wolf Alice Ellie Rowsell shown wearing her optical white high top chucks. 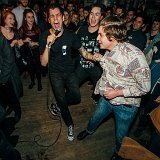 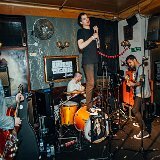 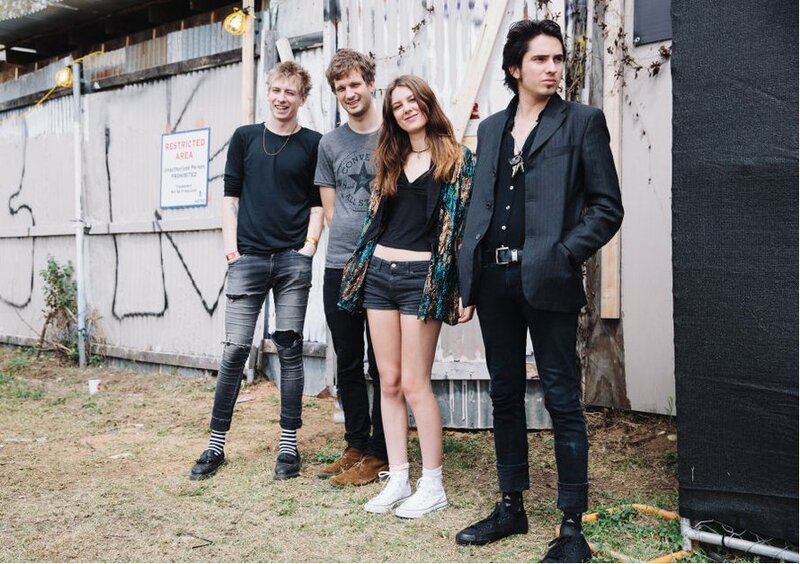 5 Wolf Alice Band photo showing Joff Odie, Joel Amey, Ellie Rowsell, and Theo Ellis. 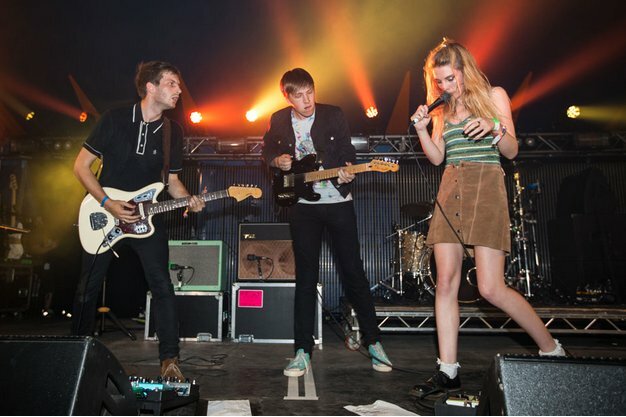 6 Wolf Alice Jamming with the Crows. 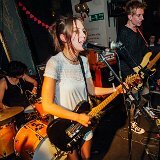 7 Wolf Alice Working the audience. 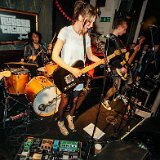 8 Wolf Alice Another shot of the Rubber Tracks session. 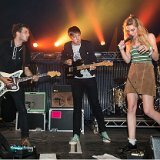 9 Wolf Alice Performance in Glastonbury.